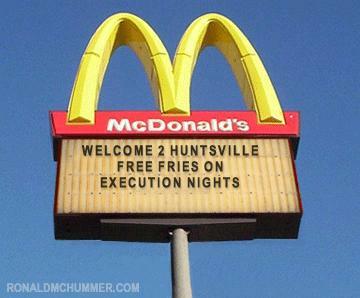 Free fries on execution nights? Yeah, it is disgusting. But at least it’s not real. yea, it is not real! I’ll post a few more signs tomorrow. YOu can go to ronaldhummer.com to make your own sign.